Amy has developed a significant practice in public international law (which she taught at Cambridge University and in which she was awarded a starred first in the LLM, ranked top in the year). Her practice also has a particular emphasis on arbitration (including ICSID) and public law. She has extensive advocacy experience, before the English Courts and in international forums. She has appeared before the ICJ in four cases (representing the Republic of Cyprus, Russia, Japan and Bolivia respectively), is currently counsel in a fifth case (Kenya v Somalia), and represented the United Kingdom in the case of Mauritius v UK (UNCLOS). 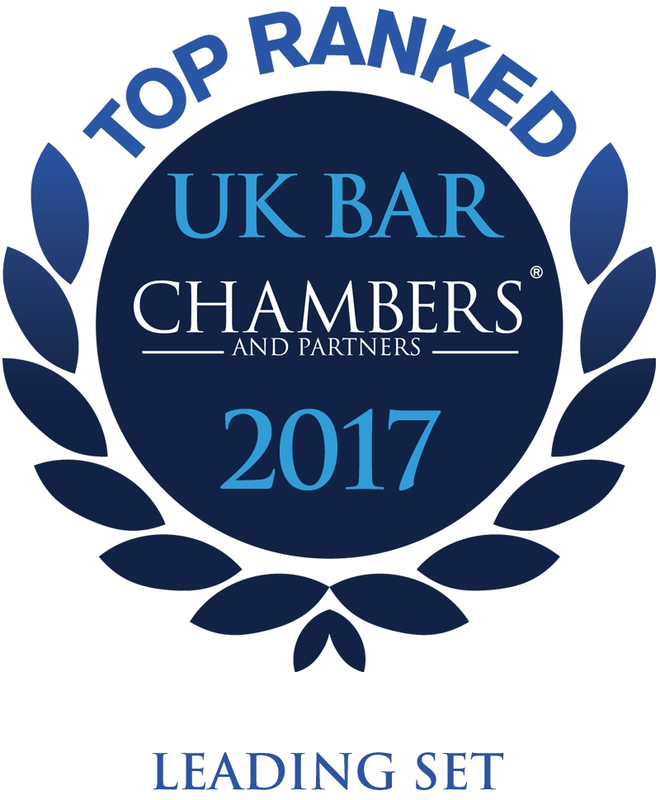 Amy is recommended in the Legal Directories as a leading junior for public international law (Chambers and Partners (Global Guide) and Legal 500). In this year’s entries, she is described as “excellent…a very fine, highly intelligent and persuasive advocate”; “ferociously productive and able to master any challenging dispute”; “impressive, very bright and easy to work with”. In previous years she has been described in the Legal Directories as “phenomenally bright”, “really efficient and impressive”, “an excellent team player” with a “sharp and focused mind…a master of the cases she works on”. 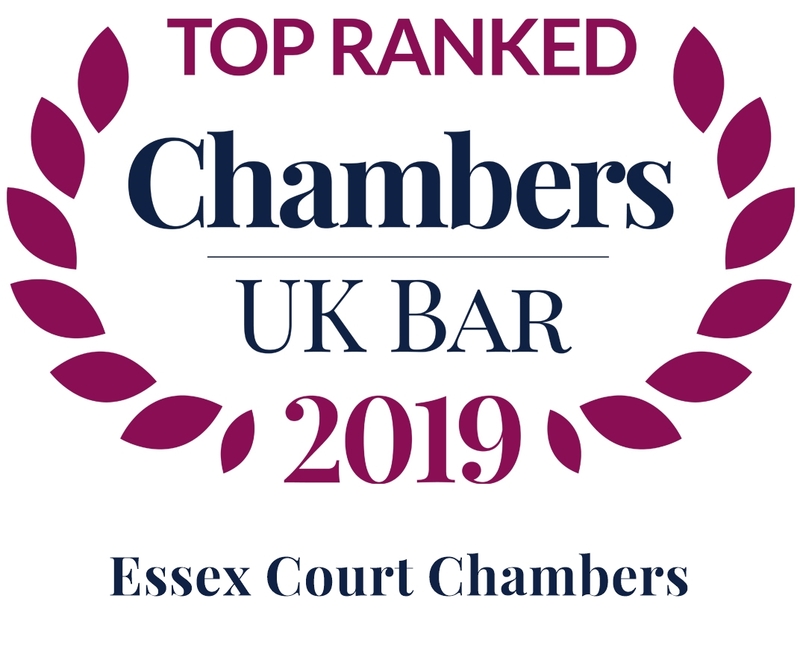 In 2013, Amy was named as one of the ten “Stars of the Bar” under ten years call by Legal Week in which she was described as “extremely easy to work with….very keen to get on with the job in hand”. Amy was appointed Junior Counsel to the Crown (the Attorney General’s Public International Law Panel) in 2014, and Junior Counsel to the Crown (the Attorney General’s London Panel) in 2013. Amy is a Board Member of the YPILG and is a member of the BIICL PIL Advisory Panel. From 2008 to 2014, Amy was an Assistant Editor of the European Human Rights Reports. Recent speaking engagements include the ASIL Conference 2019, and her forthcoming publications include a paper in AJIL Unbound on professional conduct before the ICJ. 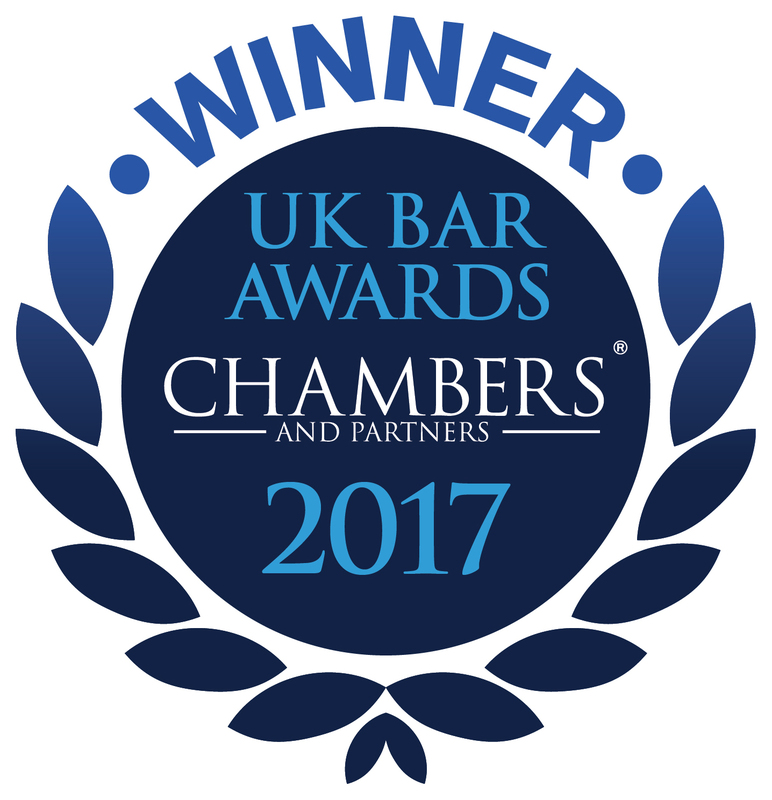 Amy is recommended in the Legal Directories as a leading junior for both public international law (Chambers and Partners and Legal 500) and employment law (Legal 500). 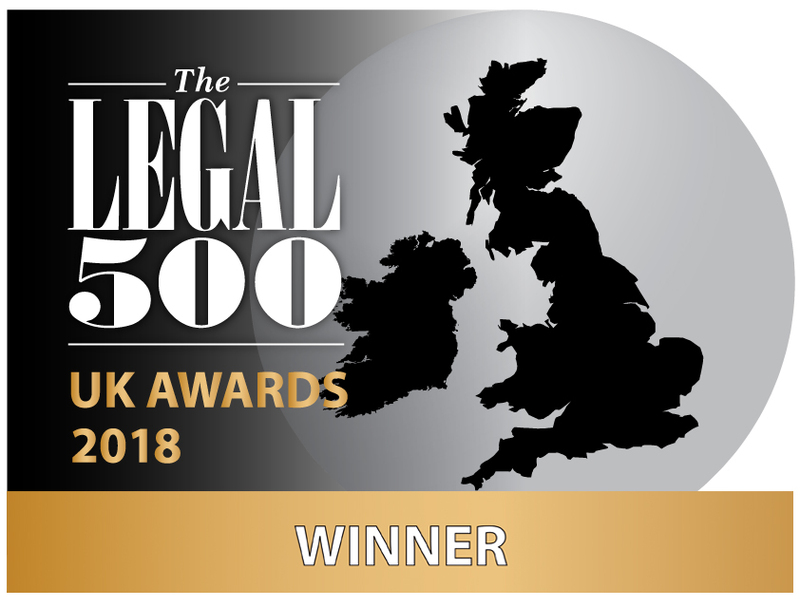 Legal 500 (2016) states “Amy flawlessly tackles, analyses and handles extremely difficult and complex issues” and describes Amy as “a real star in the making; she is incredibly hardworking and has brilliant attention to detail”. 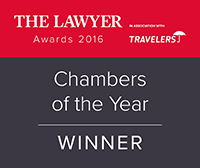 Chambers and Partners (2017) states Amy is an “excellent team player, who is extremely hard-working and very effective even when handling the most urgent matters”. “she is obviously phenomenally bright……very comfortable tackling extremely abstruse questions, and she cuts through issues effectively”. “has a sharp and focused mind, and is a master of the cases she works on”. “unflappable” and “a good team player”. In 2013, Amy was named as one of the ten “Stars of the Bar” under ten years call by Legal Week (November 2013). Amy is described as “extremely easy to work with… very keen to get on with the job in hand”. The publication quotes instructing solicitors as having described Amy as “bright and very responsive”, with one lawyer stating “whether in terms of skeleton arguments or longer written pleadings, Amy’s written advocacy is first rate,” adding that “her legal and research skills are excellent and exceptional in terms of mastering and getting to the heart of issues”. “outstanding….potentially the brightest rising star in a set which has many bright stars”. “her notable prowess in this area [PIL] sees her caseload span diverse areas such as sanctions matters, human rights and investment treaty disputes”. “very bright and hard – working public international law junior”. Appeared on behalf of the Secretary of State for Foreign and Commonwealth Affairs and Secretary of State for Defence in The Queen (on the application of KAB) v Secretary of State for Foreign and Commonwealth Affairs and Secretary of State for Defence (with Jonathan Glasson QC and Ben Watson). Appeared before the International Court of Justice for Bolivia in Obligation to Negotiate Access to the Pacific Ocean (Bolivia v Chile). Acting in the matter of Kenya v Somalia (Maritime Delimitation in the Indian Ocean) before the International Court of Justice. Acted for Al Jazeera Media Network in Al-Jazeera v Egypt (ICSID) (with Toby Landau QC and Sean Aughey). Acted on behalf of the Secretary of State for Business, Innovation and Skills in the matter of Campaign Against Arms Trade v Secretary of State for Business, Innovation and Skills (High Court) (with James Eadie QC and Jonathan Glasson QC). Appeared for the Kingdom of Lesotho in Swissbourgh Diamond Mines (Pty) Limited and others v. The Kingdom of Lesotho (UNCITRAL). Appeared (with Martin Griffiths QC) in Marathon Asset Management LLP v Seddon & others (Commercial Court). Appeared on behalf of the UK in The Republic of Mauritius v. The United Kingdom of Great Britain and Northern Ireland (United Nations Convention on the Law of the Sea). Appeared before the International Court of Justice for Japan in Whaling in the Antarctic (Australia v. Japan: New Zealand intervening). Appeared on behalf of the Secretary of State for Defence in Hussein v Secretary of State Defence  EWCA Civ 1087 (with Sam Wordsworth QC and James Eadie QC). Acted for the Republic of Cyprus in the remedies phase (with Professor Vaughan Lowe QC) of the Inter-State case against Turkey before the European Court of Human Rights. Appeared before the International Court of Justice for the Russian Federation in Application of the International Convention on the Elimination of All Forms of Racial Discrimination (Georgia v Russian Federation). Amy practises in all areas of employment law including discrimination, wrongful and unfair dismissal (including redundancy), restrictive covenants and breach of confidence, and jurisdictional issues. She regularly appears in employment tribunals and acts for claimants and respondents. Her practice also has a particular emphasis on arbitration. Amy recently appeared (with Andrew Hochhauser QC) in a confidential matter before the employment tribunal. She also appeared (with Martin Griffiths QC) in Marathon Asset Management LLP v Seddon & others (Commercial Court). Amy was junior counsel in Ranson v Customer Systems plc  EWCA Civ 841 (an employment dispute before the Court of Appeal regarding a claim for breach of contract, fiduciary duty and restrictive covenant). She has also acted in an arbitration concerning employment law issues under the LCIA rules. Recent talks include ‘Arbitration for employment lawyers’. Amy acts and advises in relation to human rights issues. Cases in which Amy has been instructed include Tomanovic v Secretary of State for Foreign and Commonwealth Affairs (concerning an alleged breach of the ECHR by the UK arising from deaths and disappearances in Kosovo in 1999/2000) (with James Eadie QC and Brendan McGurk), the Queen (on the application of KAB) v Secretary of State for Foreign and Commonwealth Affairs and Secretary of State for Defence (concerning a claim for protection by three individuals who claimed to have acted as covert human intelligence sources for the UK in Afghanistan) (with Jonathan Glasson QC and Ben Watson) and Hussein v Secretary of State for Defence  EWCA Civ 1087 (concerning the lawfulness of an element of a policy dealing with the questioning of persons captured by United Kingdom armed forces) (with James Eadie QC and Sam Wordsworth QC). She acted for the Republic of Cyprus in the remedies phase (with Professor Vaughan Lowe QC) of the Inter-State case against Turkey before the European Court of Human Rights. She acted (with Professor Vaughan Lowe QC) in a second matter before the European Court of Human Rights (Lordos v Turkey). She also acted for the Claimant (with Tim Eicke QC and David Craig) in Sugar (Deceased) v BBC & Anor  UKSC 4 regarding freedom of information. From 2008 to 2014, Amy was an Assistant Editor of the European Human Rights Reports. Amy is developing considerable experience of international arbitration. She has acted or advised in a range of international arbitrations, under institutional rules (ICSID, ICC, LCIA and UNCITRAL) both under English and foreign law. Amy has a particular interest in bilateral investment treaty cases. She is currently advising in a claim against a State in respect of a transportation project. She acted for the Kingdom of Lesotho in respect of an investment claim that was brought against it under the UNCITRAL rules (Swissbourgh Diamond Mines (Pty) Limited and others v. the Kingdom of Lesotho). She has also acted (with Toby Landau QC) for a claimant investor in an ICSID arbitration which involved issues of freedom of expression and expropriation (Al-Jazeera v Egypt). Advised (with Sam Wordsworth QC) in a potential ICSID arbitration. This case concerned a bilateral investment treaty and involved issues of expropriation in the Middle East. Instructed (with Huw Davies QC) in an arbitration under the LCIA rules. This case concerned an aircraft lease dispute. Acted and advised (with Sam Wordsworth QC) in an UNCITRAL arbitration. This case concerned a bilateral investment treaty and involved issues of expropriation relating to a shipyard and boat building contract. Instructed (with Ricky Diwan) in an arbitration under the UNCITRAL rules concerning issues of contractual construction in relation to a major oil project in North Africa. Recent talks include ‘Denial of Justice’ (a workshop at Cambridge University) and ‘Commencing an ICSID Arbitration: practical issues and pitfalls’ (given as part of a series of seminars at the University of Tokyo and the University of Kyoto in Japan). Amy authored “Investment Insurance and Investment Arbitration: the Position of the Third Party” in the European International Arbitration Review (July 2012). Amy also assisted VV Veeder QC in compiling the First Interim Report on the Workings of Section 69 of the Arbitration Act 1996 in regard to maritime arbitrations in London before the Commercial and Admiralty Court. This Report was requested by Lord Mance’s Advisory Committee on Section 69 of the Arbitration Act 1996. She also assisted VV Veeder QC in writing a chapter in Mr Ulf Franke’s Liber Amicorum. Amy has a keen passion for public international law, building on her experience of teaching the subject at Cambridge University. In 2014, Amy was appointed Junior Counsel to the Crown (the Attorney General’s Public International Law C Panel). She was awarded a starred first in the LLM (international law) at Cambridge University, where she was ranked top in the year. Amy’s practice has an extensive PIL focus, and she undertakes complex and diplomatically sensitive work for states and governmental bodies. Currently acting and advising in the matter of Kenya v Somalia (Maritime Delimitation in the Indian Ocean) (International Court of Justice). Appeared on behalf of the Secretary of State for Foreign and Commonwealth Affairs and Secretary of State for Defence in The Queen (on the application of KAB) (with Jonathan Glasson QC and Ben Watson). Acted and advised on behalf of Secretary of State for Business, Innovation and Skills in the matter of Campaign Against Arms Trade v Secretary of State for Business, Innovation and Skills (High Court) (with James Eadie QC and Jonathan Glasson QC). Appeared (with Professor Vaughan Lowe QC, Professor Payam Akhavan, Professor Mathias Forteau, Antonio Remiro Brotóns and Ms Monique Chemillier-Gendreau) before the International Court of Justice for Bolivia in Obligation to Negotiate Access to the Pacific Ocean (Bolivia v Chile). Appeared on behalf of the UK (with Michael Wood QC, Sam Wordsworth QC, Professor Alan Boyle and Ms Penelope Nevill) in The Republic of Mauritius The United Kingdom of Great Britain and Northern Ireland (United Nations Convention on the Law of the Sea). Appeared (with Vaughan Lowe QC, Alain Pellet, Payam Akhavan and Alan Boyle) before the International Court of Justice for Japan in Whaling in the Antarctic (Australia v Japan: New Zealand intervening) which concerned alleged breaches of international obligations under the International Convention for the Regulation of Whaling. Appeared (with Sam Wordsworth QC) before the International Court of Justice for the Russian Federation in the Application of the International Convention on the Elimination of All Forms of Racial Discrimination (Georgia v Russia) which concerned allegations of ethnic cleansing arising out of armed activities of August 2008. Appeared (with Professor Vaughan Lowe QC) before the International Court of Justice for the Republic of Cyprus in the advisory proceedings concerning whether the Unilateral Declaration of Independence by the Provisional Institutions of Self-Government of Kosovo was in accordance with International Law. Advised the Palestinian Negotiations Support Project on matters of public international law. Assisted and attended the Russian delegation at the 20th round of Geneva International Discussions addressing international humanitarian law issues. Assisted Professor Vaughan Lowe QC in the matter of C and Others Director of Immigration and Another (before the Court of Appeal in Hong Kong). Instructed (with Sir Frank Berman KCMG QC) in an ICSID arbitration addressing issues of treaty law. Advised (with Sam Wordsworth QC) as to the effect of Libyan financial sanctions. Assisted Professor Malcolm Shaw QC with research concerning settlement of the Cameroon and Nigeria. Appeared as Counsel (with Professor Vaughan Lowe QC) for the Republic of Cyprus (interested party) in R (Kibris Turk Hava Yollari) and CTA Holidays Ltd The Secretary of State for Transport in the High Court of Justice. ASIL 2019 (guest speaker on ‘Obligations to Negotiate: worthwhile tool or exercise in futility’). Denial of Justice (workshop at Cambridge University). An informal discussion with Professor Lowe QC: lessons learned as a public international law academic, counsel and arbitrator (a YPILG event). Oxford University, PIL Discussion Group: guest speaker addressing advocacy before international forums. ‘70 Years of the International Court of Justice: The Advisory Function of the Principal Judicial Organ of the United Nations’ (a BIICL event chaired by Dame Rosalyn Higgins DBE QC). ‘International Dispute Resolution’ (an introduction to international law for government lawyers). ‘Commencing an ICSID Arbitration: practical issues and pitfalls’ (given by invitation of the Japanese Government as part of a series of seminars at the University of Tokyo and the University of Kyoto in Japan). Amy is a Board member of the YPILG and a member of the BIICL PIL Advisory Panel. She flawlessly analyses and handles extremely complex issues. She is an excellent team player, who is extremely hard-working and very effective even when handling the most urgent matters. She is obviously phenomenally bright. She is very comfortable tackling extremely abstruse questions, and she cuts through issues effectively. Reliable, hardworking and patient under great pressure. Incredibly thorough, hardworking and efficient. She’s really efficient and impressive, and is building up a great practice.